We made this case to hold a crystal flute. 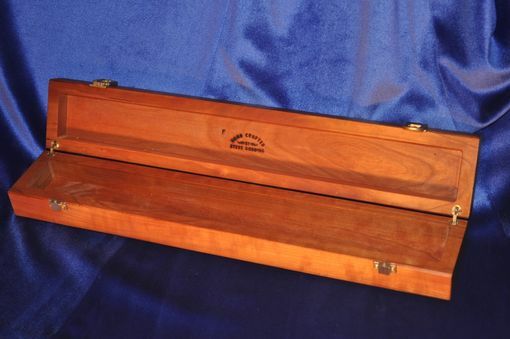 These flutes usually come with a flimsy cardboard case that does not provide much protection. 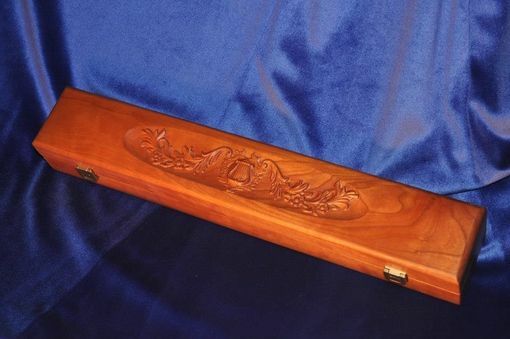 This case was sized to hold the foam insert that goes around the specific flute for which it was made. The case is made of cherry, with brass hardware.